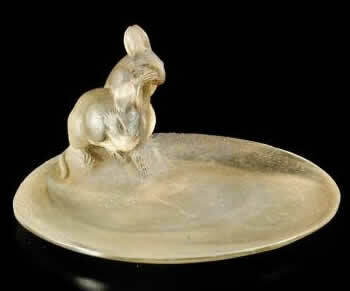 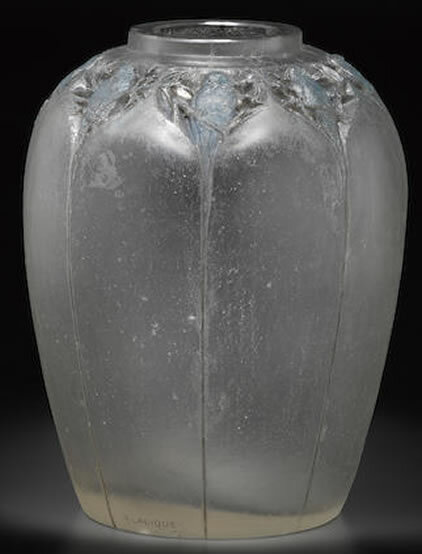 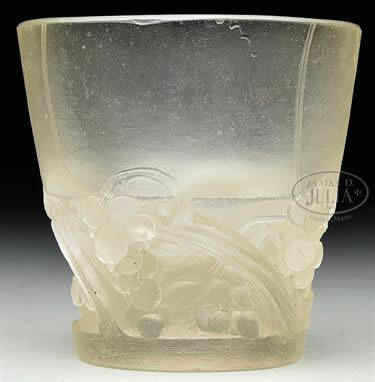 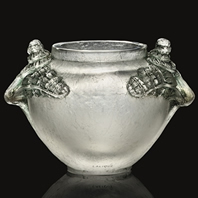 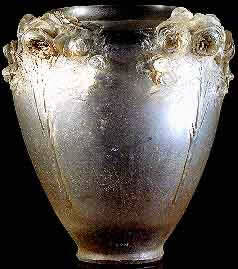 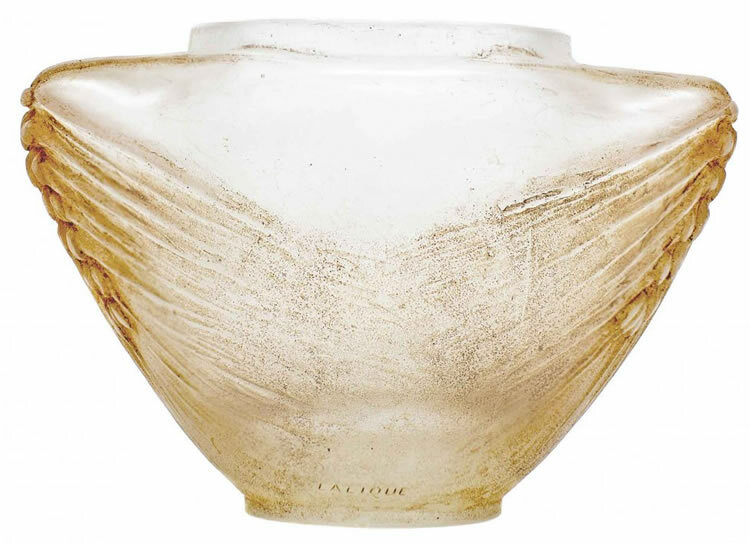 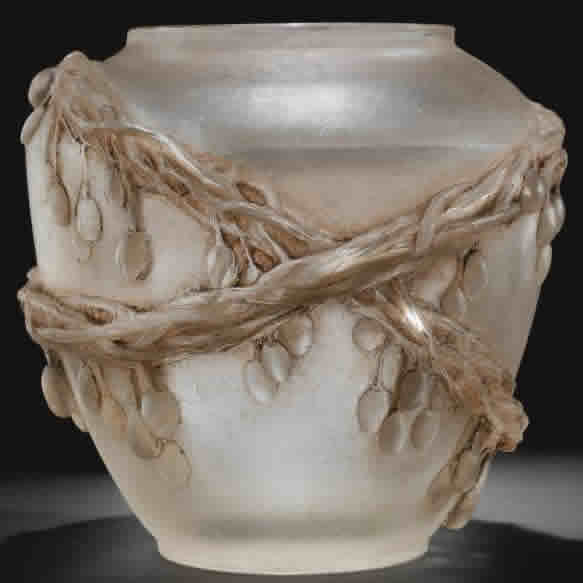 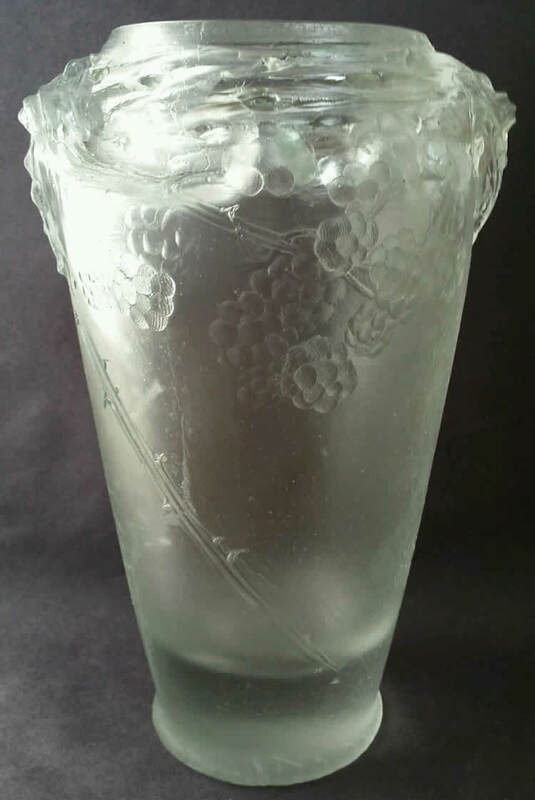 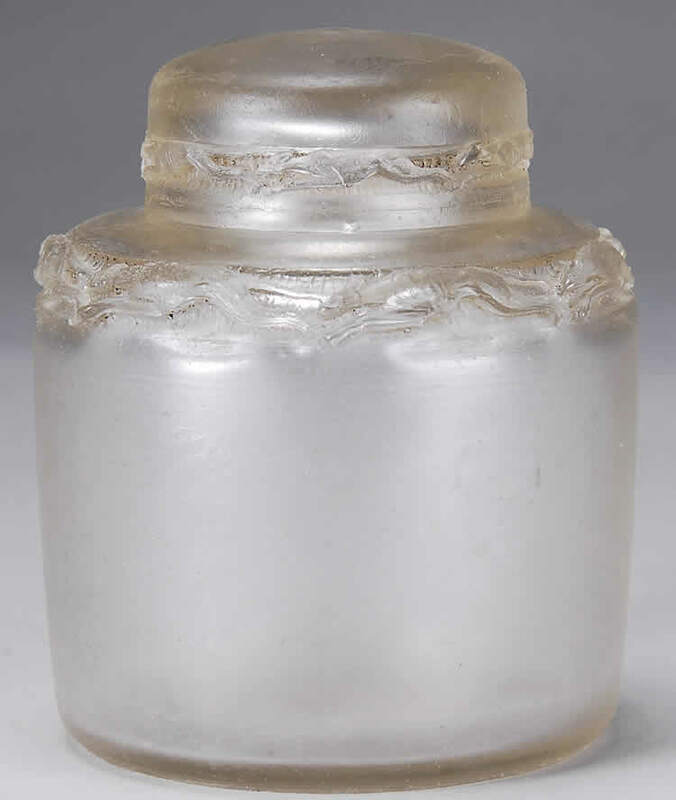 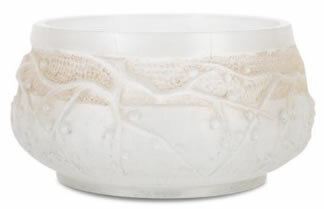 R. Lalique Cire Perdue: Cire Perdue means Lost Wax. 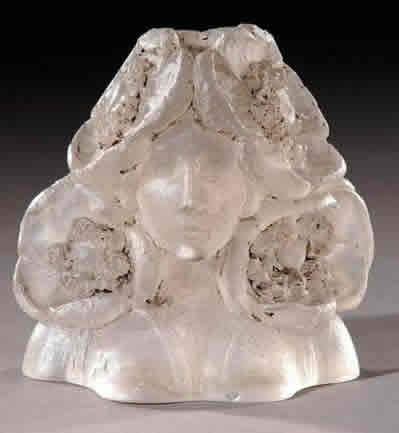 Basically, a model would be carved out of a block of wax. 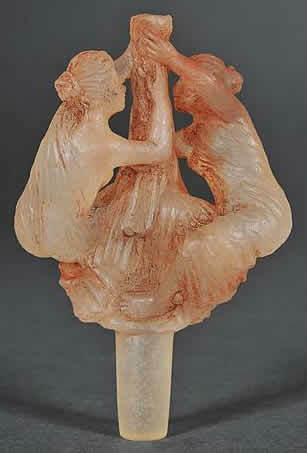 The wax would then be encased in plaster. 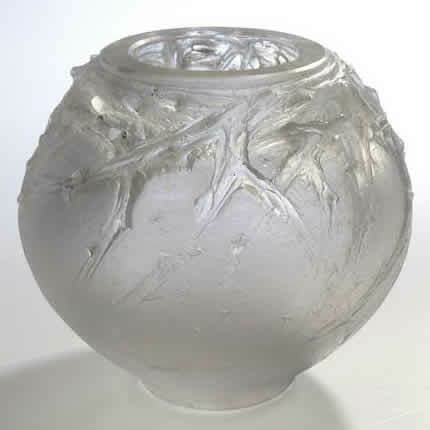 The plaster would be heated up and the wax allowed to run out, leaving the design from the wax on the inside of the plaster mold. 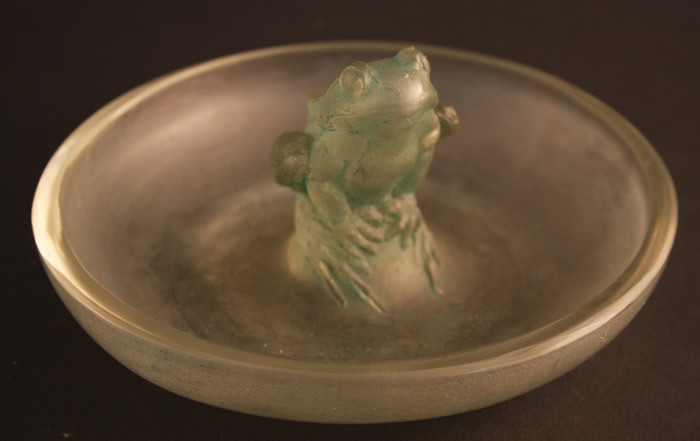 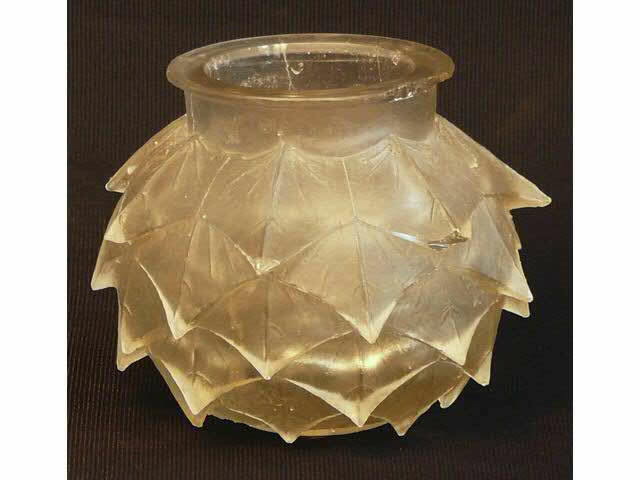 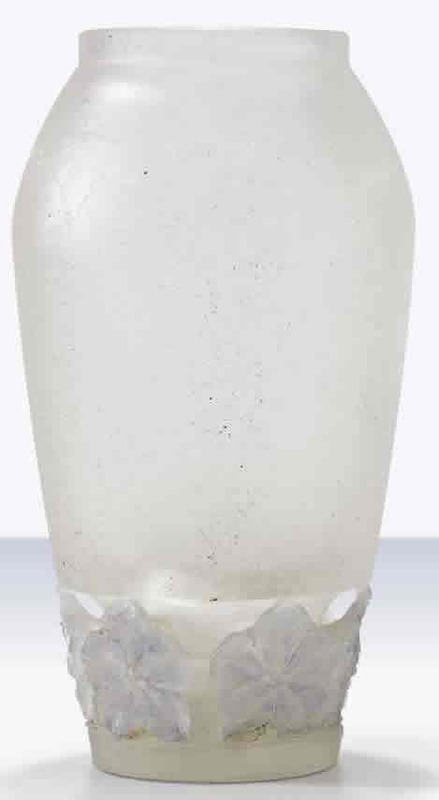 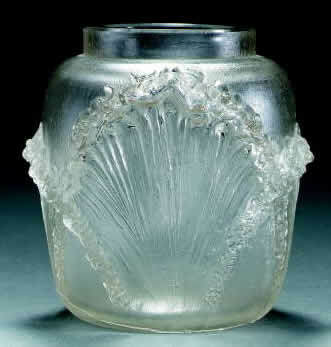 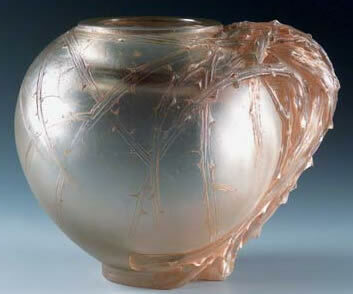 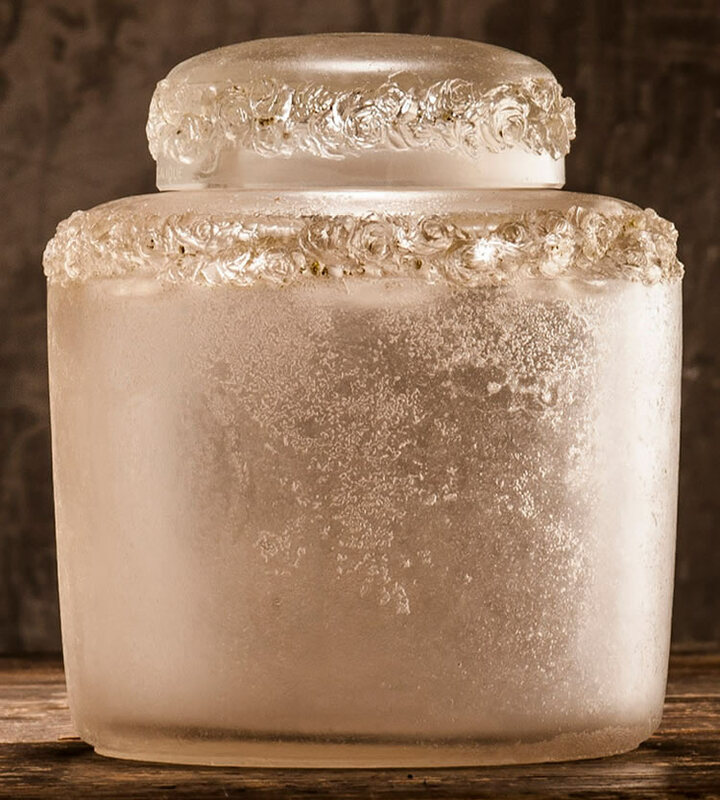 Molten glass would then be poured or blown into the space left by the missing wax. 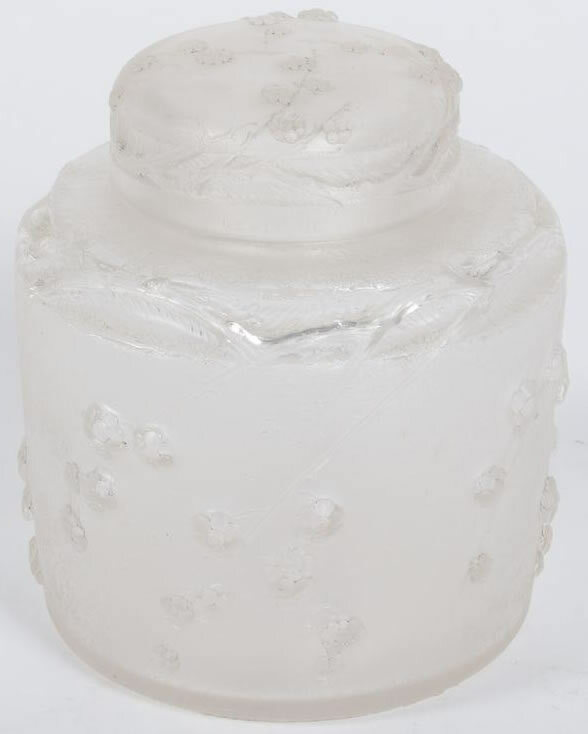 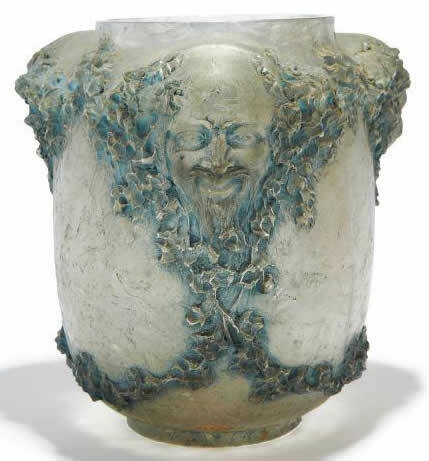 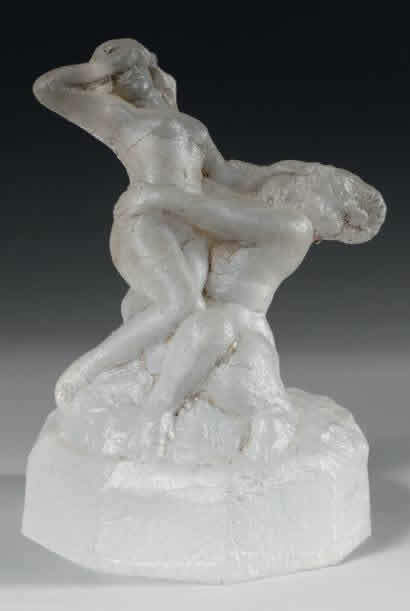 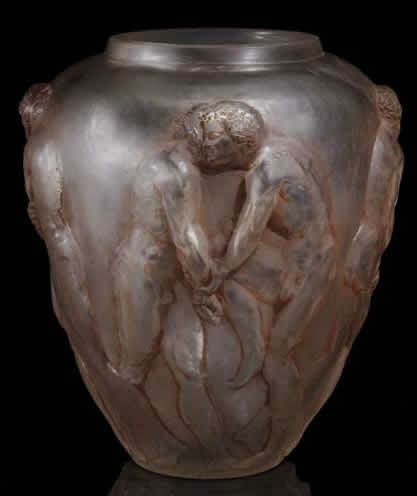 After it cooled, the plaster would be broken open to reveal the glass duplicate of the original wax model. 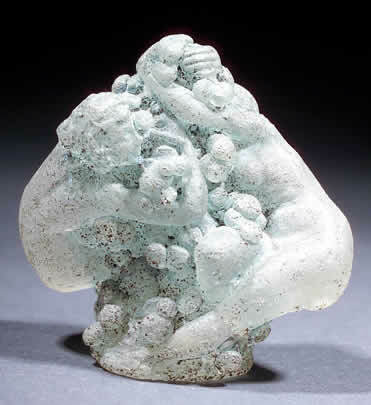 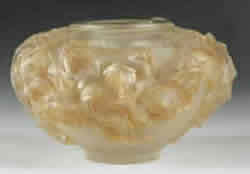 Each Cire Perdue is unique, as the mold is broken to extract the piece. 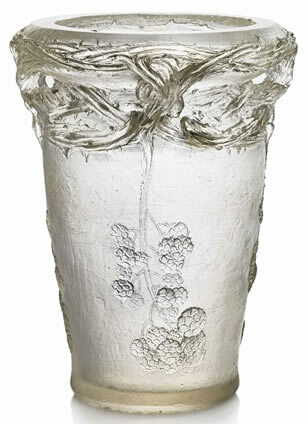 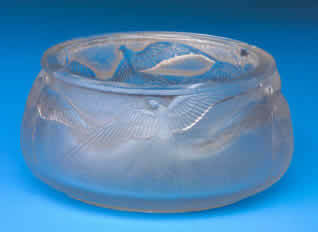 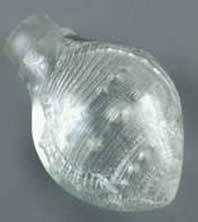 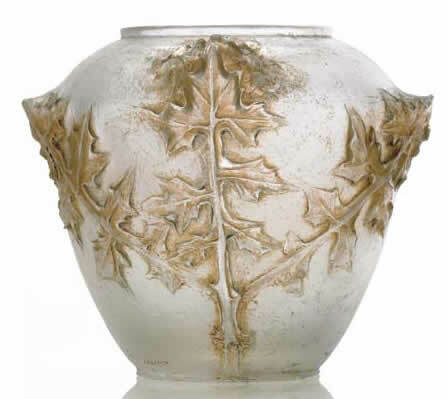 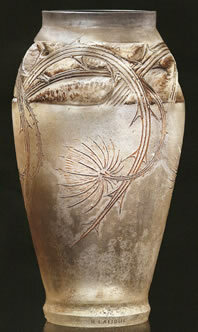 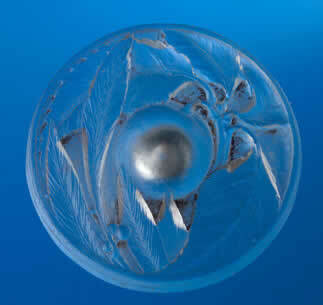 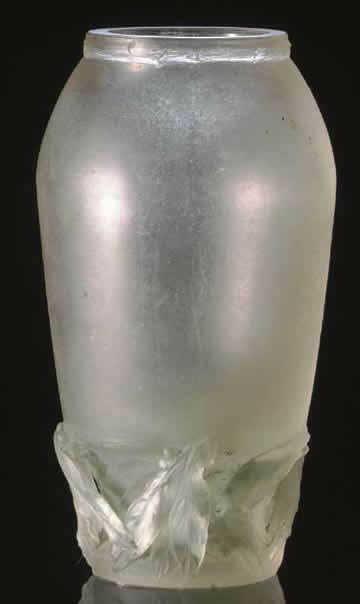 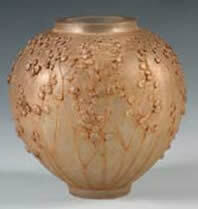 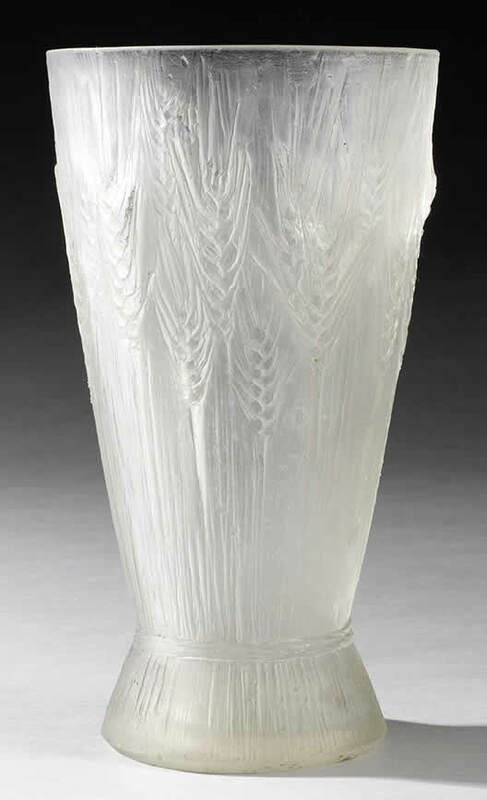 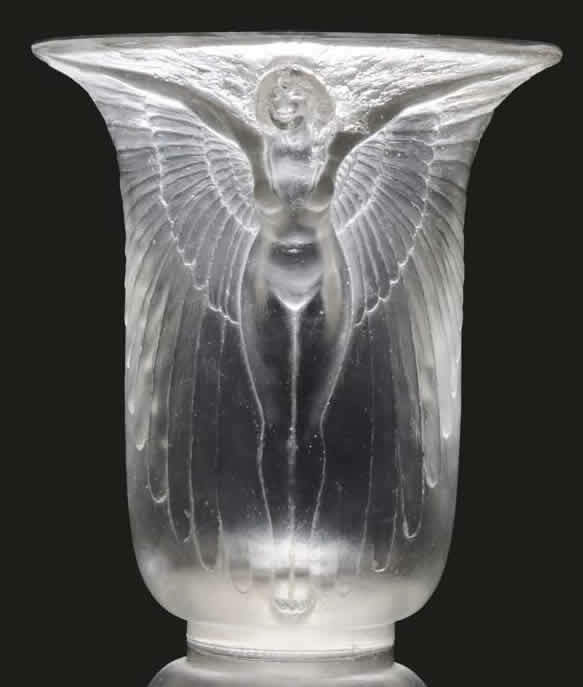 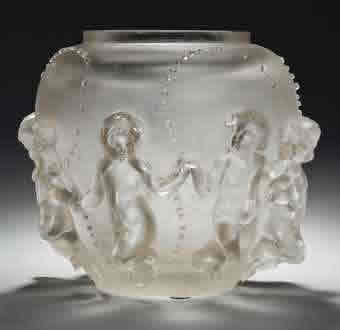 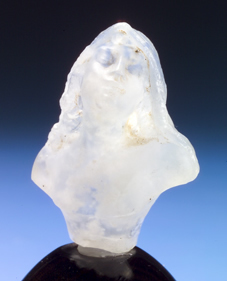 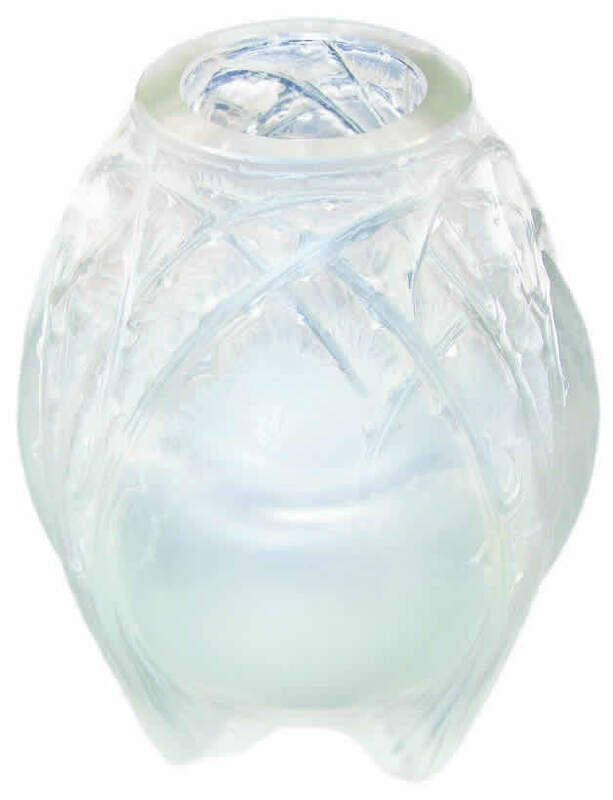 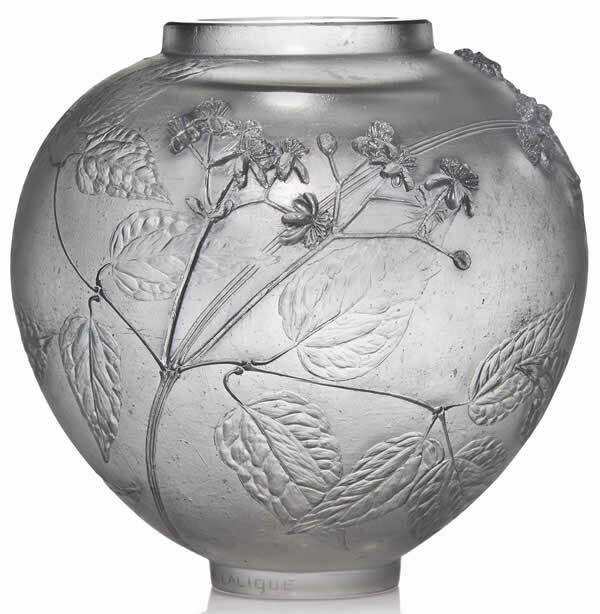 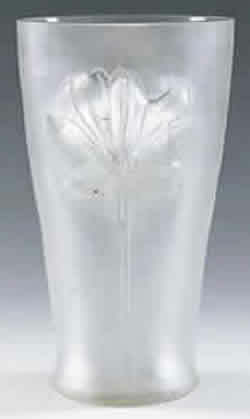 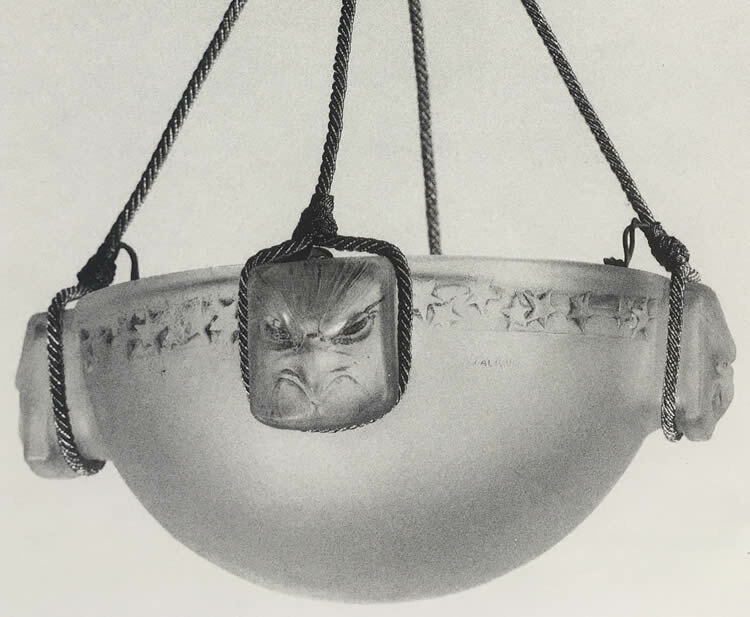 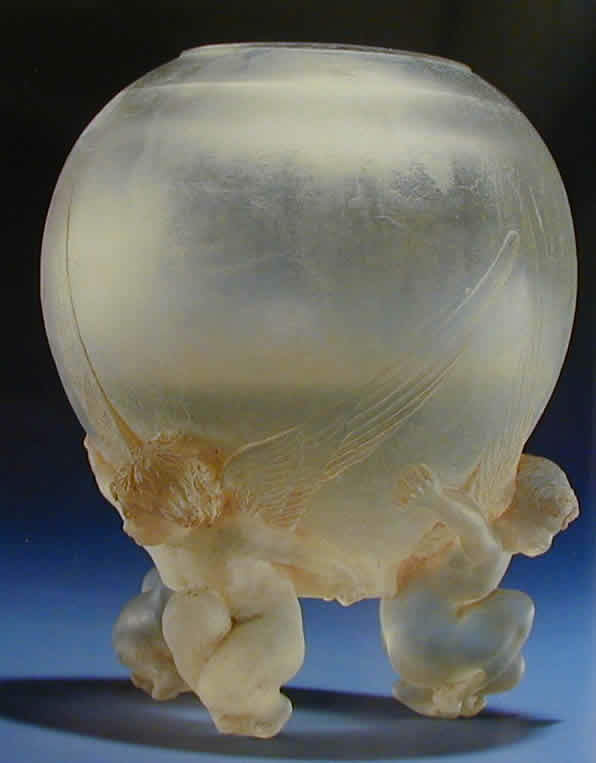 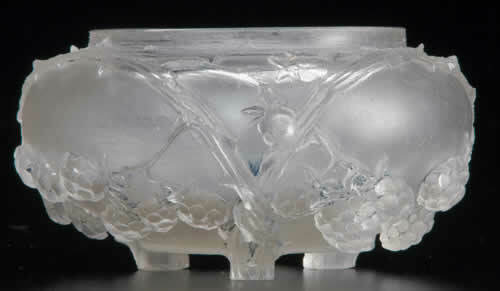 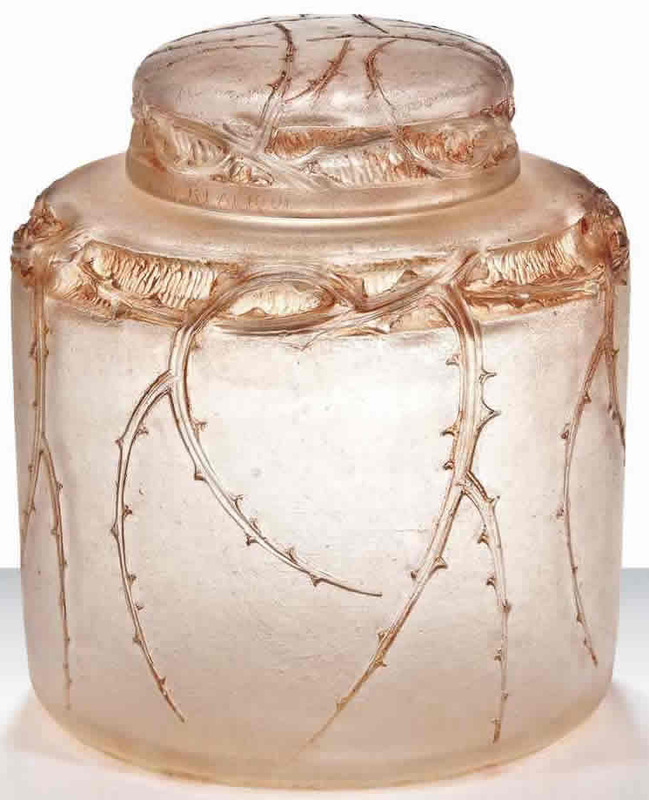 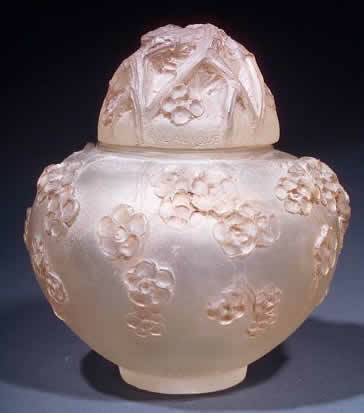 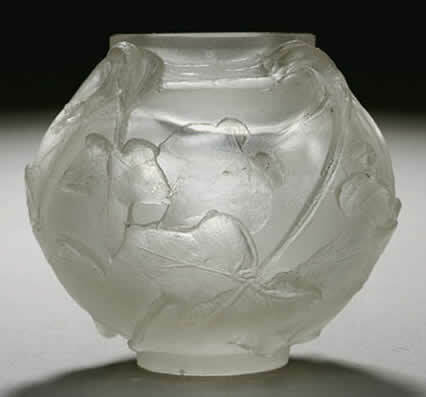 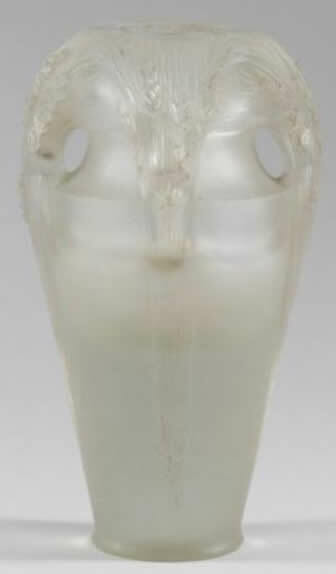 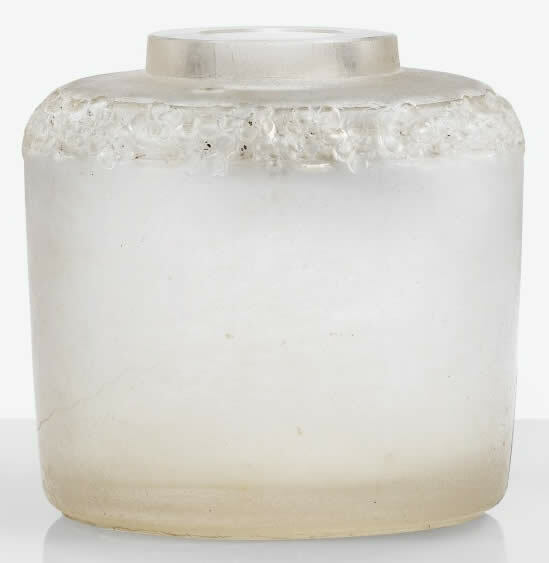 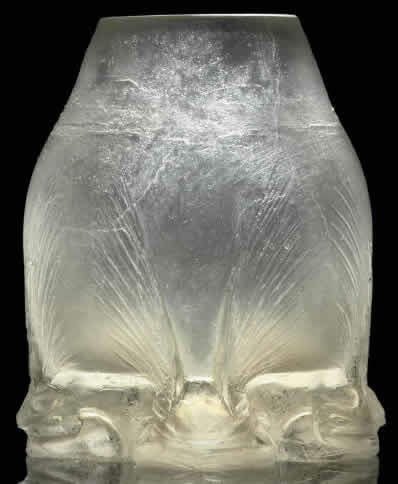 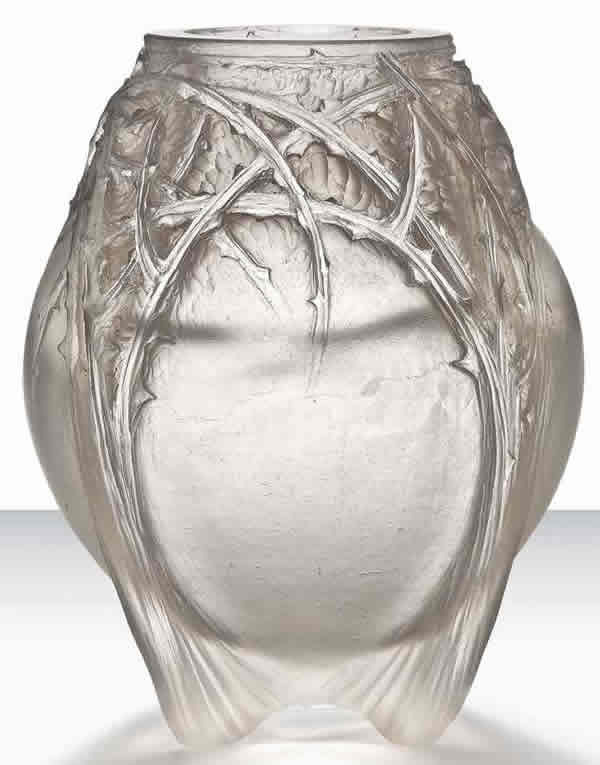 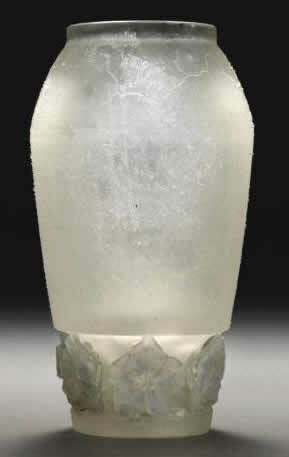 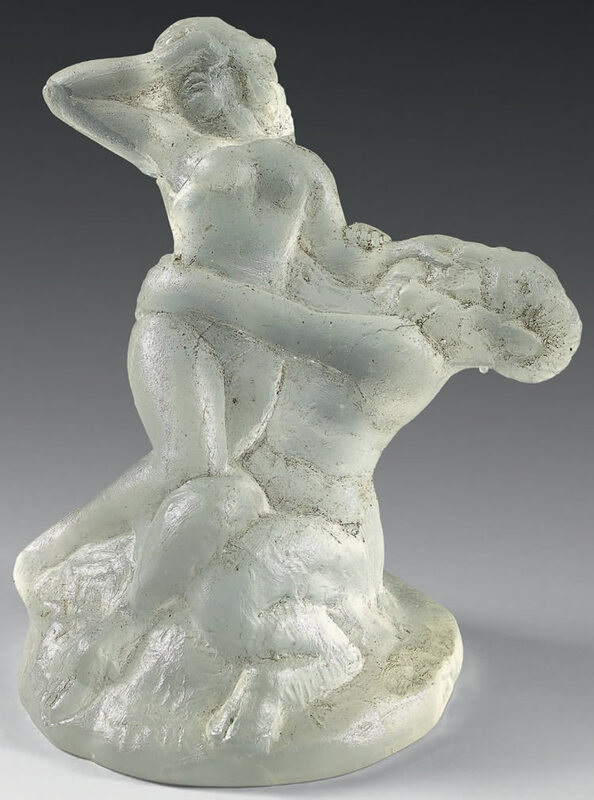 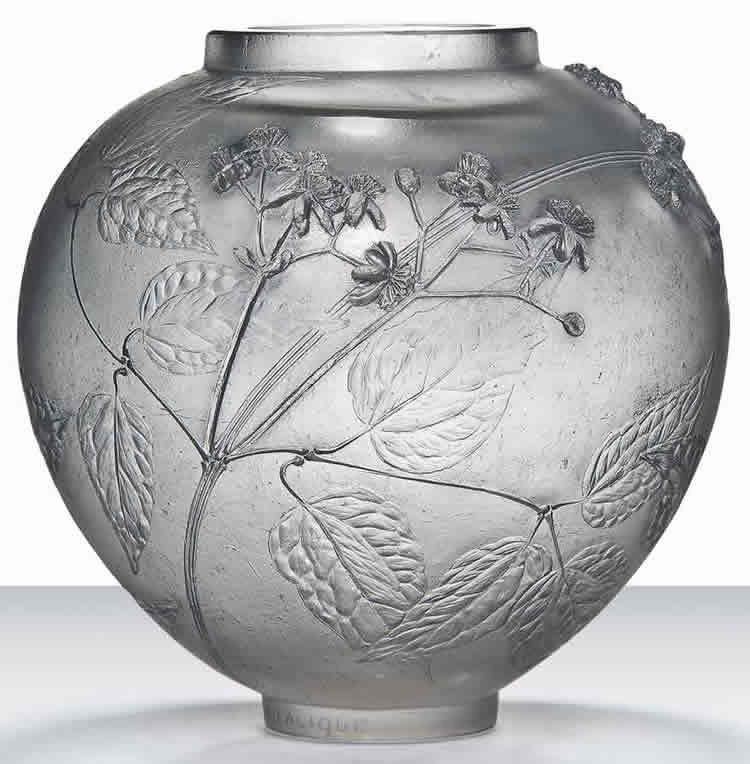 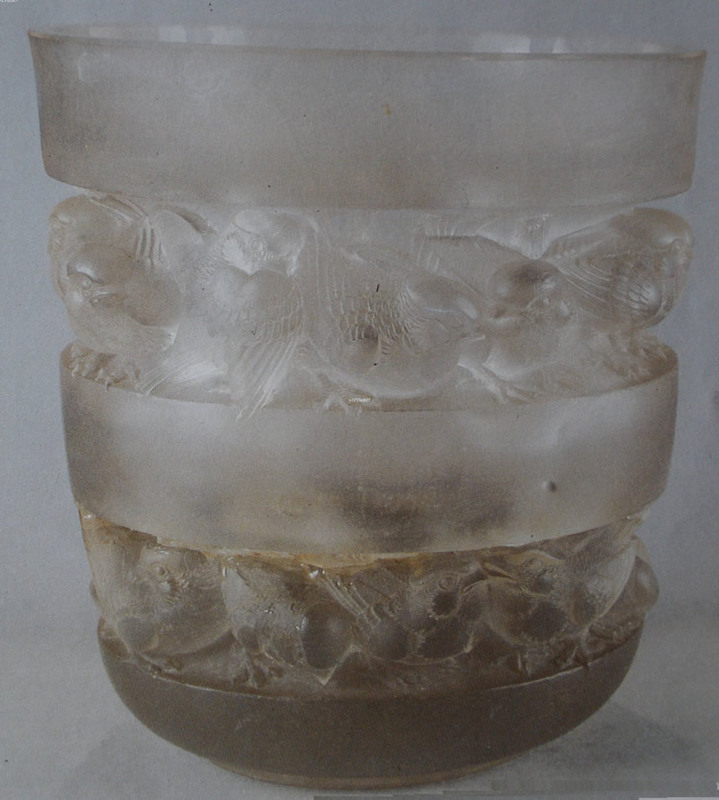 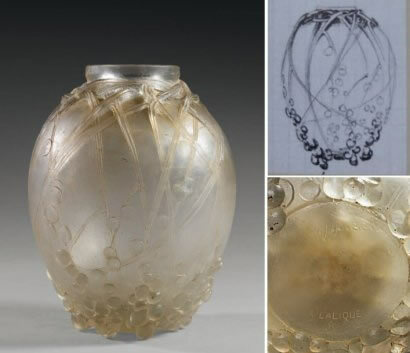 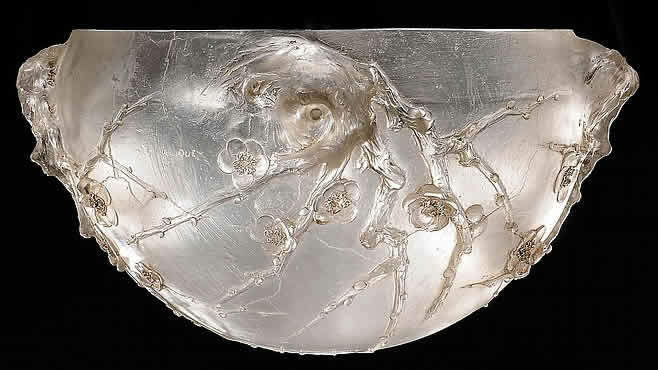 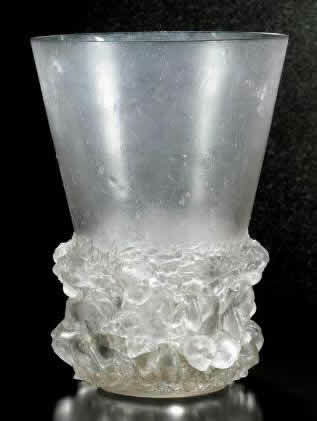 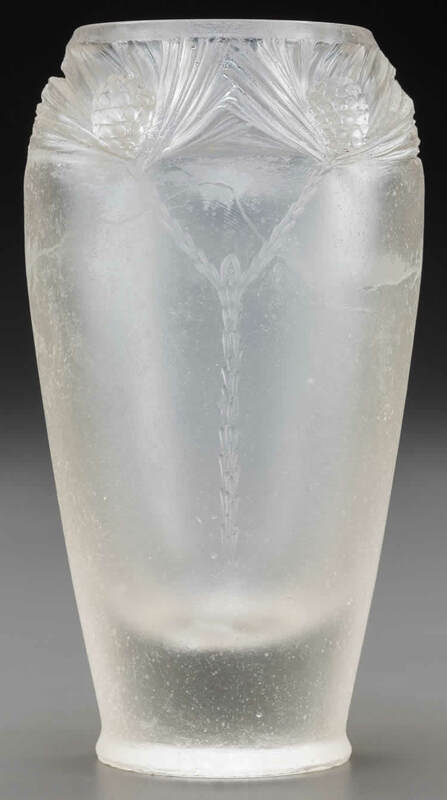 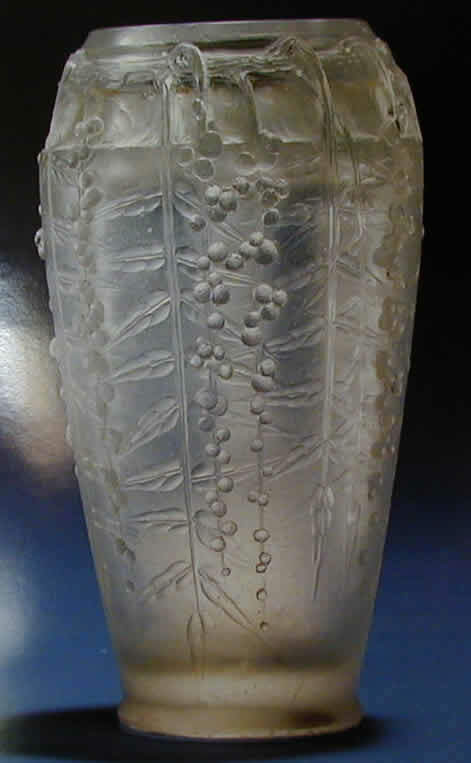 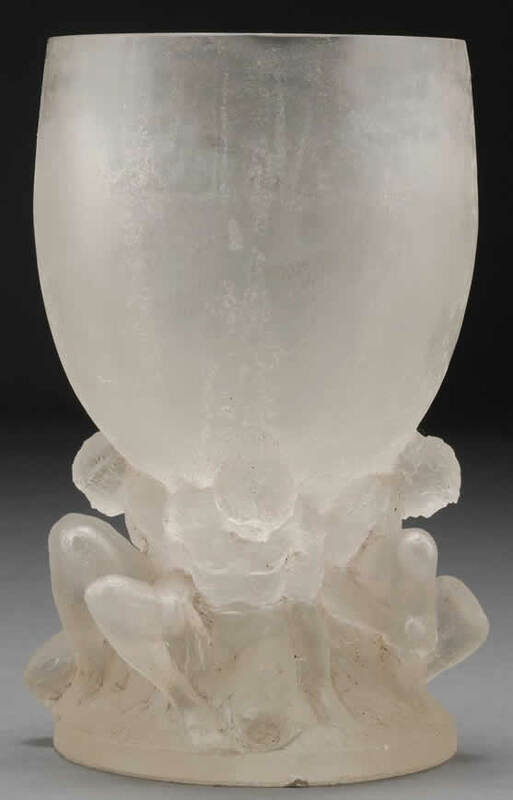 However multiple close designs can be made, and a few R. Lalique Cire Perdue models were made in 2 to 6 very close copies. 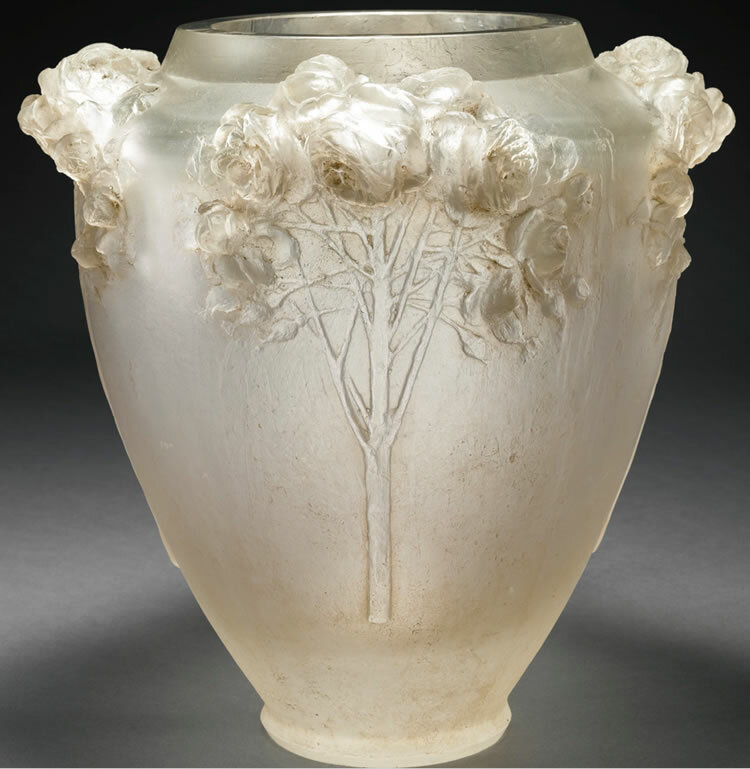 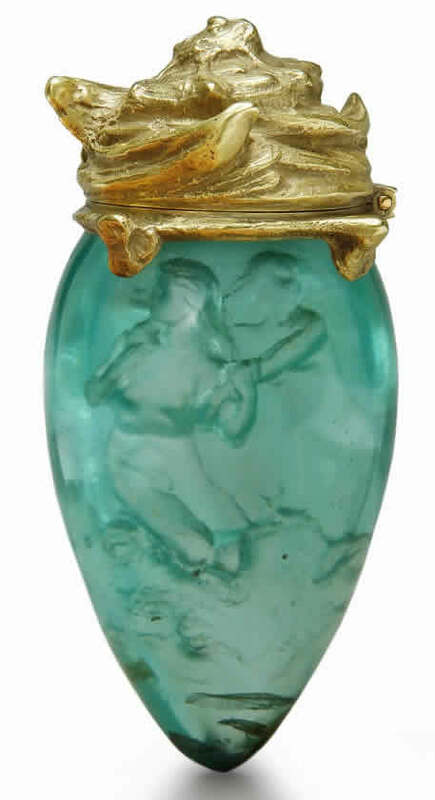 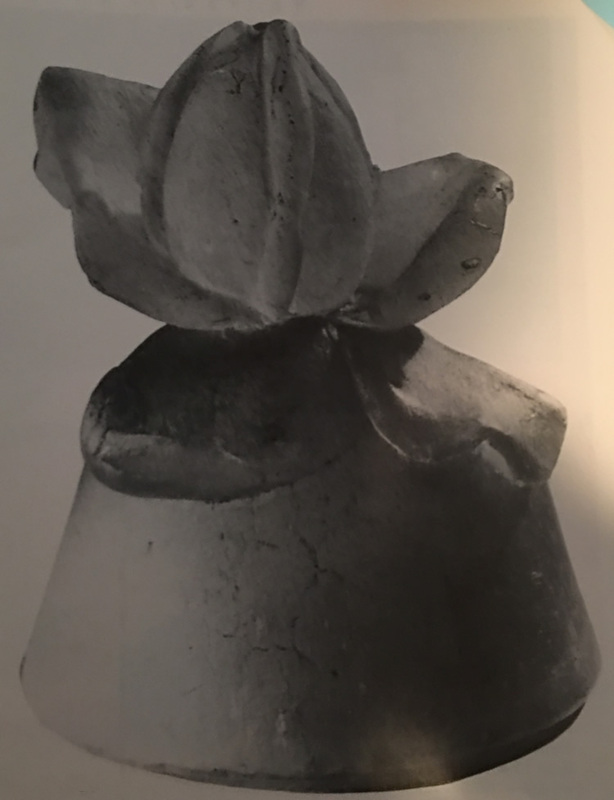 The vast majority of cires perdues were vases, but much smaller numbers of ashtrays, statues, perfume bottles, clocks, light fixtures and other items were also created. 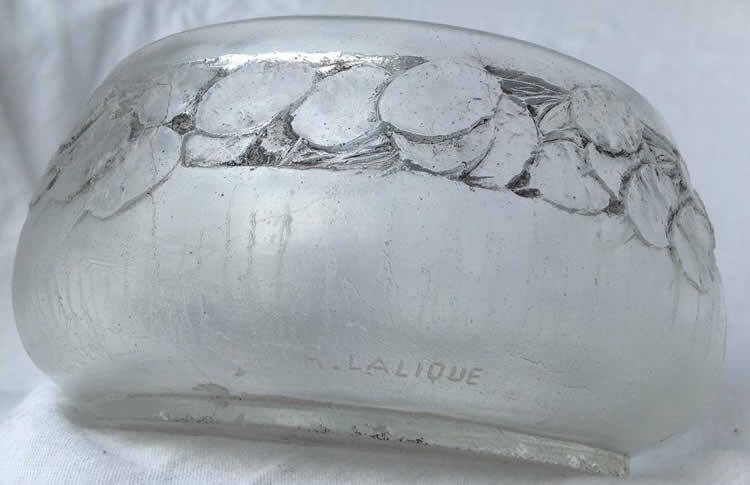 The total number of cire perdues ever produced is about 700. 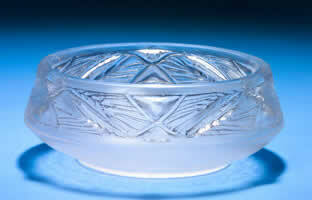 NOTE: We are actively looking to purchase quality Cire Perdue!